For a Halloween party hors d'oeuvre that's guaranteed to freak out your friends, try this zombie cheese dip. 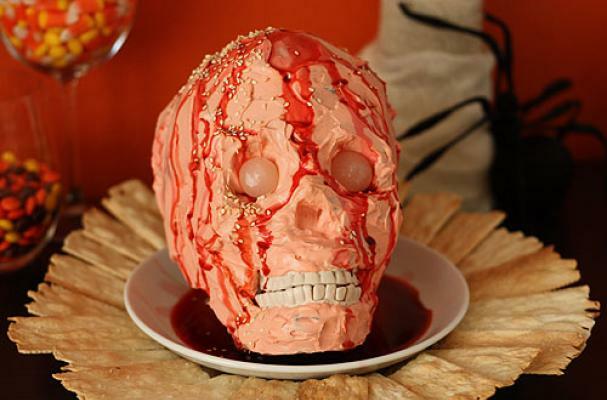 Megan of Not Martha created this creepy appetizer by spreading a plastic skull from a party supply store (be sure to wash yours really well, of course) with either spreadable cheese or a dip made with cream cheese. Cocktail onions form the soulless eyes of the skull, while soy sauce mixed with a little food coloring makes for convincing blood. Will this super-simple zombie cheese dip make it onto your Halloween table?